There’s still time to vote for Dream Green DIY in the crafting category of this year’s Design Blog Awards with Domino Magazine! DGD is one of five finalists in the contest, and you can vote once a day (no account required) now through September 23. Thank you so much for your support! Who else is extra pumped for the official kick-off to fall this weekend? I can hardly wait to put out all of the ceramic pumpkins, fall-scented candles, and autumn-themed hand soap bottles I’ve been hoarding as we lead up to the cold weather season. Another thing I love to pull out this time of year? Blankets—and lots of them. 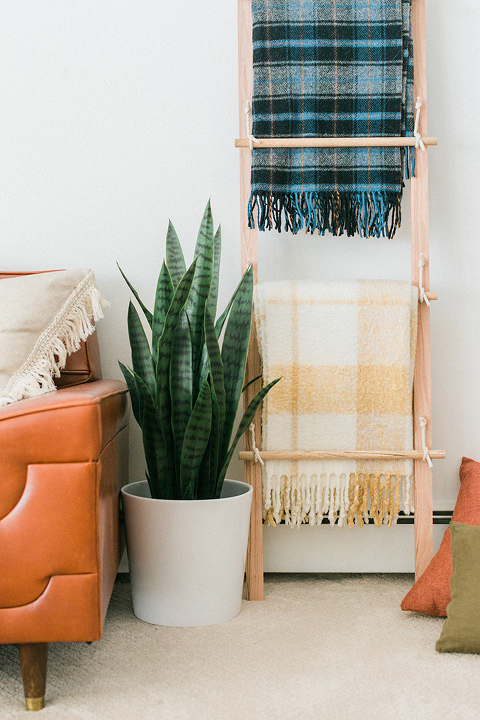 If you’re in the same boat, then I have a feeling you’re going to love today’s DIY project: a handmade swing arm blanket holder that you can make for just $30. 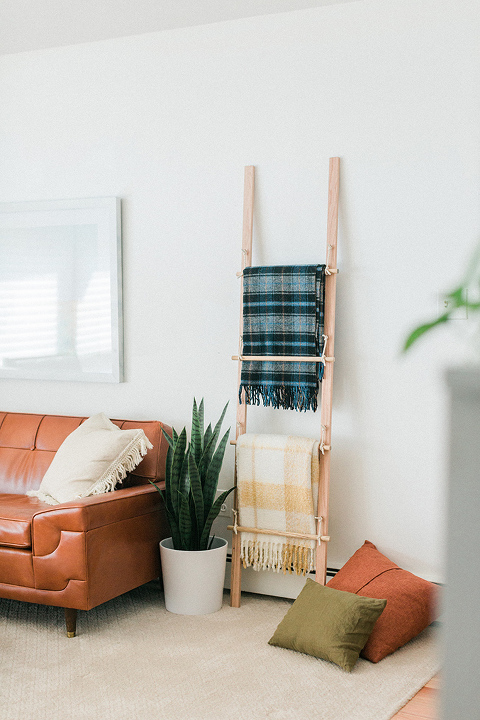 Now, I’ve made many a DIY ladder in my day to hold things like magazines and, of course, throw blankets, but this design takes “simplified” to a whole new level. 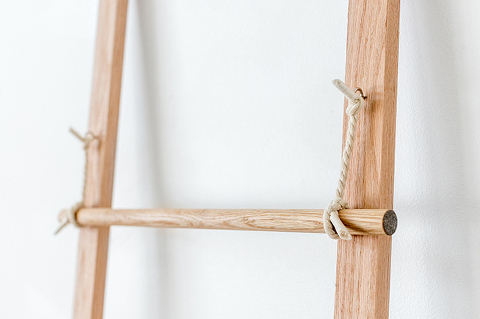 If you can use a handheld drill and tie a knot, you can definitely make this one at home on your own. 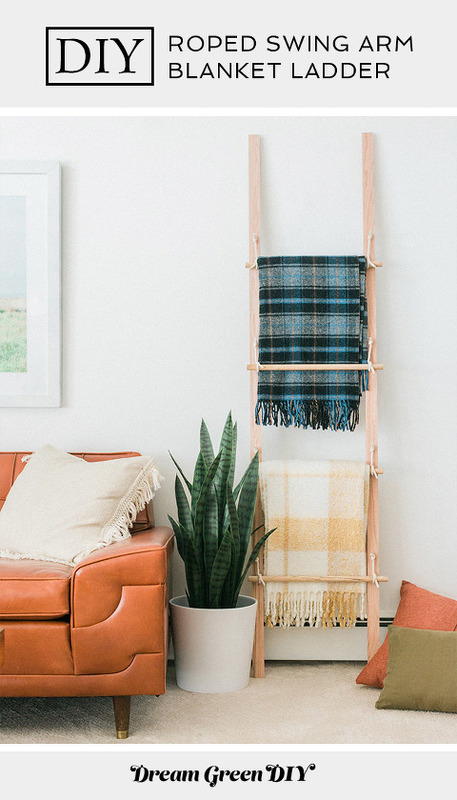 I made this blanket ladder all by myself one afternoon in our living room, and couldn’t possibly love the laid back, practical vibes more. Hop over to Hunker here for the full tutorial, and let me know in the comments below what you’re most looking forward to for fall, be it wool blankets, pumpkin-flavored treats, or copious amounts of autumn candles.